Citizen decision making has taken a lot of criticism lately. This year’s Kettering Review argues that understanding how and why citizens can and do think together offers hope for those who worry democracy is in peril. Thanks to public opinion polls, social media, and pundits, we hear quite a bit about what people think. We hear lots about what people support, what they oppose, what makes them mad, and what makes them cheer. We hear significantly less about the hows and whys of public thinking. How do people arrive at the thoughts they hold and express? Why do they feel the way that they do? How do the places they live and the people they care about influence their thinking? Why is sound judgment so seemingly hard to reach nowadays? These are important questions to ask, especially in times like these, when the public’s capacity for sound decision making—so essential to democracy—is coming under question. People who agree on little else can agree that they are dissatisfied with the direction of the country—and have been for quite some time. Part of this dissatisfaction seems to be manifesting itself in increased criticisms of fellow citizens for being inattentive, uninformed, or easily manipulated. Questions about how the public thinks have long been at the heart of Kettering’s work, but they seem especially timely now. Robert Kingston, Kettering Foundation senior associate and longtime editor of the Kettering Review, passed away in 2016. Bob was a keen observer of public thought and dedicated much of his life to fostering sound public judgment and better understanding its role in democracy. We dedicated the fall 2017 issue to him and the topic that consumed so much of his thinking. With this as background, this issue of the Review seeks to explore the hows and whys of public thinking. Individual pieces explore the role of a deliberative public voice in democracy, the obstacles to sound decision making, and what actually happens when people get together to talk about tough issues with others in their community. The pieces also touch on the context in which public thinking occurs—from big cities to rural diners and points in between. As a whole, the articles provide a picture, not of what the public thinks, but of how and why a public thinks. The “how” picture is far messier in that it does not convey a unified voice or a singular judgment. What it does convey, though, is public thinking that is actively struggling with difficult decisions, full of nuance, and reflective of the things that people deeply care about. 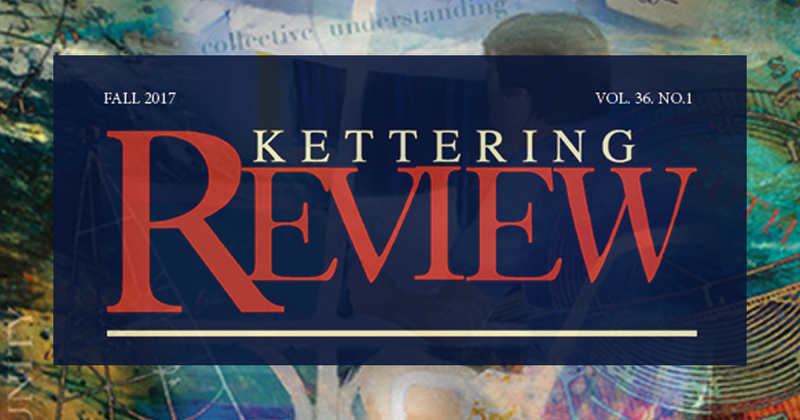 In a previous issue of the Review, Kettering Foundation president David Mathews described the journal’s purpose as such: “Ideas ‘fund’ our research—in the sense that, if our understandings resonate with the concerns of other people and organizations, then this resonance may help build a network of ‘fellow travelers’ who enrich what we are exploring with their own experiences and insights. This network then may generate more new ideas to fund or inspire new research.” This issue, then, is full of ideas—ideas that inform what we do at the Kettering Foundation or challenge us to think anew about familiar puzzles. The ideas are put forward by a network of old friends and new friends alike, some of whom are sadly no longer with us. In all cases, we are richer for having been exposed to these ideas and hope the same for our readers. In spite of our differences, concern about the state of democracy is something that most of us share in common. We hope that the ideas presented in this journal will “fund” thought and experimentation from our readers.